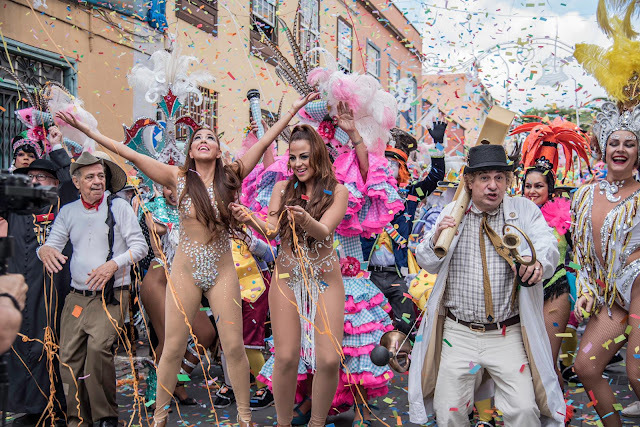 Carnival 2019 of Santa Cruz de Tenerife has already kicked off. More new carnival music for 2019, this time from Tenerife born twins, Gara and Loida, collectively known as K-Narias, with their new single entitled “Llegó el Carnaval” (Carnival Arrived), which they performed at the carnival inauguration on Friday 1 February. Their video for the single (below) was partly filmed in the La Noria street in Santa Cruz, along with hundreds of extras including murga groups, comparsa Danzarines Canarios, various of the regular carnival personalities, the Children's Queen 2018 of the Los Gigantes Carnival, Jonay Regalado (Ninja Turtles), dancers and the Orquesta Revelación.